Rumour No. 1: Inter Milan-bound manager Rafa Benitez has submitted his list of summer transfer targets to the Nerazzurri board, which is reported to include a £33 million double raid on former club Liverpool for the hard-grafting duo of Javier Mascherano and Dirk Kuyt. In other news, the three-year contract Benitez is set set to sign at the San Siro is reported to be worth just £65,000 a week – less than half of what Inter were paying Jose Mourinho. Rumour No. 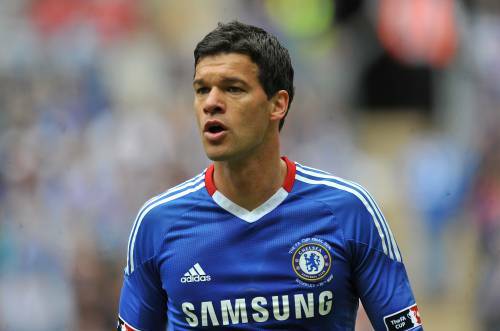 2: After being released by Chelsea yesterday, it seems that German international Michael Ballack won’t have much of a problem finding new employers. It is being reported this morning that 33-year-old Ballack is set to return to the Bundesliga in order to team up with former England manager Steve McClaren at Wolfsburg – although Schalke, Bayer Leverkusen and Real Madrid are also said to be interested in acquiring the services of the veteran midfielder. The Best of the Rest: Manchester City are closing in on a £28 million deal for Aston Villa midfielder James Milner. Should Villa lose Milner to City, they will put £8 million of the recouped fee towards funding a move for Anderlecht winger Mbark Boussoufa. The Moroccan star has been named Belgian Player of the Year for the past two season. Barcelona legend Hristo Stoichkov has branded Zlatan Ibrahimovic ‘a failure’ and has also told the Swedish striker he should join Manchester City this summer. Benfica winger Angel Di Maria has told his agent he is ‘not keen’ on a move to England, thus leaving Real Madrid in pole position to sign the Argentinian starlet. Arsenal chairman Peter Hill-Wood has hinted that the Gunners are interested in signing Fulham ‘keeper Mark Schwarzer. Juventus are in talks with William Gallas, as the French defender has resigned himself to the fact that he has no future at Arsenal. Wigan have slapped a £15 million price tag on Colombian striker Hugo Rodallega‘s head in a bid to quell interest from Arsenal and Aston Villa. Birmingham City have officially withdrawn their interest in Wigan winger Charles N’Zogbia after learning that the Latics also value the French flyer at around £15 million. Blackburn midfielder Vince Grella is being linked with a move back to Italy, with Genoa showing an interest in the Australian international. Blackpool plan to bolster their squad for the rigours of the Premier League by signing Wolves’ Sylvan Ebanks-Blake, Portsmouth’s Danny Webber, Sunderland’s Phil Bardsley and Burnley’s Clarke Carlisle. Championship new-comers Leeds will attempt to prise centre-back Andy O’Brien away from Bolton. New Celtic manager Neil Lennon is hopeful of tempting Tottenham striker Robbie Keane and Arsenal defender Sol Campbell to Parkhead during the close season. Wake up arsenal, schwarzer’s nearly 38. Robert Green and Joe Hart are english (not fing french!) and one of them is bound to be england’s number 1 in the future.